Fair play, Richard Culley. 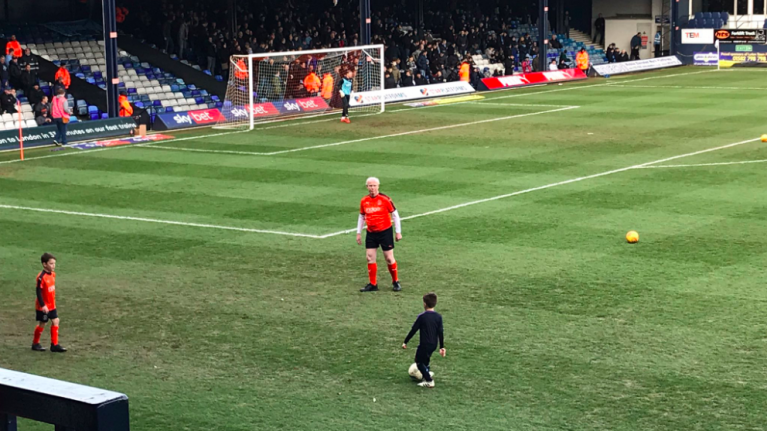 Being 60 years old shouldn't stop you from being a mascot for Luton Town if, for some reason, you want to be a mascot for Luton Town. I respect and admire it. Before their game against Wycombe Wanderers on Saturday, Culley led out the Hatters team alongside more traditional mascots, young Archie James and Sam Taylor, aged 7 and 9 respectively. Interestingly enough, all three listed 'football' in their hobbies section in the match day programme, whilst Richard was the only one of the three to attend games on his own, or sometimes with his wife, which makes sense. Him being 60 and all. And the other two being actual children. One of today’s mascots is 60! Even better is Richard's claim to know the results of every Luton Town game since 1969. Archie and Sam, up your game lads. He is absolutely mugging you off with his Luton Town knowledge. Do better. Tell me that picture of the trio having a kick about before the match doesn't warm the cockles of your heart as well. Football, if you needed reminding, is the single best thing in the entire world and that will never change.